Ongoing stress, whether it's from a traffic-choked daily commute, unhappy marriage, or overbearing boss, has been linked to a wide range of harmful health effects. But can stress cause heart disease? The December 2013 issue of the Harvard Women's Health Watch looks into the connection. There's no question that stress can exert real health effects throughout the body—including the heart. People who've received traumatic news, like the death of a child, have, in rare cases, suffered immediate heart attacks. The condition is called "broken heart syndrome." It's much more common in women than men, even in those with no history of heart disease, says Dr. Deepak Bhatt, professor of medicine at Harvard Medical School and director of the Integrated Interventional Cardiovascular Program at Brigham and Women's Hospital. But what about everyday stresses, like rush-hour traffic, marriage strains, and on-the-job aggravation? The connection between these chronic forms of stress and heart disease isn't as well defined. "I think the conventional opinion is that stress is bad for your heart, but the data are much murkier," Dr. Bhatt says. Stress triggers inflammation, a known instigator of heart disease, but the stress-inflammation-heart disease connection hasn't been proven. 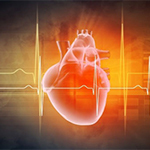 Stress may influence heart disease in more subtle ways. It prompts some people to act in ways that increase their risk for heart disease, like turning to pizza, pie, cookies, and other comfort foods. Those high-fat, high-cholesterol foods contribute to the artery damage that causes heart attacks and strokes. Stress can also lead to other heart-damaging behaviors, such as smoking and drinking too much alcohol. Breaking the connection is a matter of both relieving stress and managing the unhealthy habits it triggers. Harvard Women's Health Watch is available from Harvard Health Publications, the publishing division of Harvard Medical School, for $20 per year. Subscribe at http://www.health.harvard.edu/newsletters/womens or by calling 877-649-9457 (toll-free).